Across Montana and the nation, a growing number of farmers markets are accepting SNAP benefits, better connecting low-income families to fresh, healthy foods, while also supporting local farmers. Given the importance of this partnership for both food security and local food systems, we were deeply disappointed by recent news that “some food stamp recipients may soon lose access to farmers market benefits (Washington Post, July 9).” Fortunately, the majority of Montana SNAP customers and markets will not be impacted, but thousands of families and farmers across the country will be hurt by this change. Approximately 1,700 of the 7,000 markets that accept SNAP benefits nationwide will likely lose this ability as of July 31st when Novo Dia, a company that processes around 40 percent of farmers market SNAP transactions, discontinues its services. This was the only payment processor whose software can run on Apple products such as iPhones and tablets; without them, the affected markets will have to purchase new equipment from a new processor unless the USDA Food and Nutrition Service can develop a solution that will not cause a disruption in service. We want to assure Montana communities that most Montana farmers markets and farmers use a different processor for their SNAP transactions, so our markets and their customers should be largely unaffected. Participating Montana markets can also continue to offer SNAP incentives, such as Double SNAP Dollars, which double the purchasing power of SNAP. We are working to help the few Montana markets and farmers who will be affected find feasible alternatives as quickly as possible. Although Montana will not feel the brunt of this upsetting loss, the impacts on those affected will still be felt and we are saddened for all the families and farmers across the country that will lose out on the opportunity to use or accept SNAP benefits for fresh, healthy, local foods. 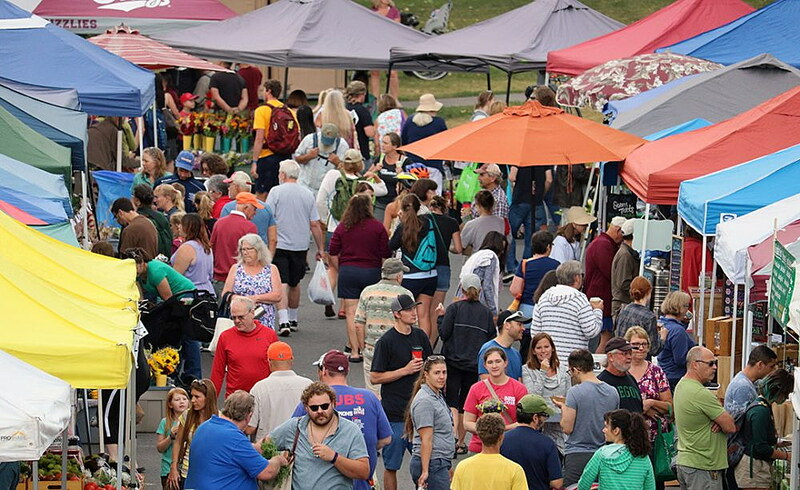 Farmers markets in Montana and throughout the country are at the forefront of providing healthy local foods to low-income populations; it is a win-win for our farmers and local economies. In 2017, Montana SNAP transactions at farmers markets contributed over $50,000 to local farmers and ranchers. At Double SNAP Dollars sites, over $100,000 was spent by SNAP customers on local foods. This untimely news comes after a series of unfortunate actions, or lack thereof, made by the USDA Food and Nutrition Service and Financial Transaction Management, a newly-formed private firm who was recently awarded a government contract to administer the distribution of SNAP equipment and services. We stand with many other organizations across the country in encouraging the USDA Food and Nutrition Service as they work to find a solution that will not result in an interruption in service for farmers and customers across the country. These events are a reminder that access to SNAP benefits is not only a Farm Bill discussion – there are many ways that SNAP benefits can be restricted outside of the Farm Bill, however unintentionally. We will continue to be attentive to the status of SNAP benefits and advocate for them on behalf of Montana families, farmers, communities, and economy. Please join us in doing so, because Montana thrives when all Montanans thrive. Kim Gilchrist, Food Access Program manager with the Community Food and Agriculture Coalition of Missoula; Lorianne Burhop, chief policy officer with the Montana Food Bank Network in Missoula; Gretchen Boyer, executive director of Farm Hands-Nourish the Flathead in Whitefish; and Kathy Hadley, executive director of the National Center for Appropriate Technology in Butte.